The country’s e-commerce giant Alibaba has reported a tremendous rise in sales and Chinese shoppers have topped the Wall Street’s for casts. It has been reported by Alibaba that now 434 million Chinese shoppers are using this site for their daily shopping. Its shopping sites Taobao and Tmall are flooded with annual active buyers. According to Alibaba’s Q2 earnings report, in the duration from April to June, Chinese shoppers have spent US$ 126 billion on shopping. This has been a huge rise from US$ 101.3 billion that were spent last year with the same time span of three months. This upward surge of the shoppers is easily surpassing eh analysts’ estimates for sale in Chinese slow paced economy. It has also been reported that mobile revenues have more than doubled. Chinese spending from mobile has risen from 55% to record high of 75%. According to Alibaba’s chief financial officer Maggie Wu, company has seen the highest growth level since it went public in 2014 and this for the first time that Alibaba has secured more money from mobile user’s instead of desktop users. Alibaba is now becoming the Amazon for Chinese economy, it is expanded its products and services to digital media and cloud computing. In recent years Alibaba has generated more money from cloud computing services and digital media sector. Company Alibaba, co-founded by Jack Ma, has shown that by diversifying itself to another sector has help raised more revenue. In the past years, the cloud computing business has witnessed revenue rise up to 156%. According to the CEO Daniel Zhang, “Alibaba had and outstanding quarter”. Investors are thrilled by the company’s achievements and it has become a challenge for the company to prove to the outside world that Alibaba has the ability to expand aggressively in the international market as well. At the moment Jack Ma’s biggest dream of running a global retail empire seems to be taking off. 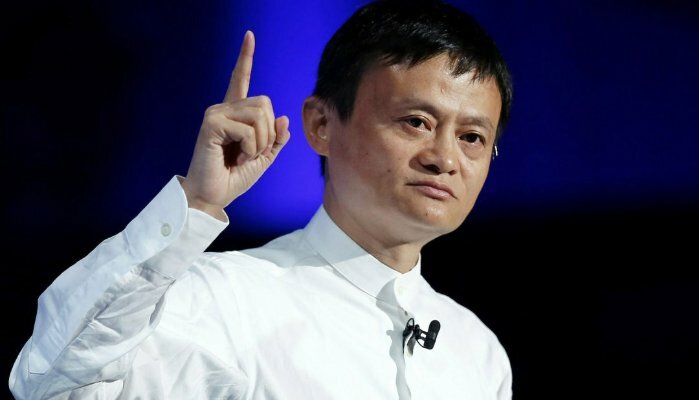 Like Amazon’s Jeff Bezos, Jack ma is struggling hard for turning his goals into a reality. Next article He was turned down for a job at Facebook. $3 Billion Judgment error.